Get ready for an action packed adventure! 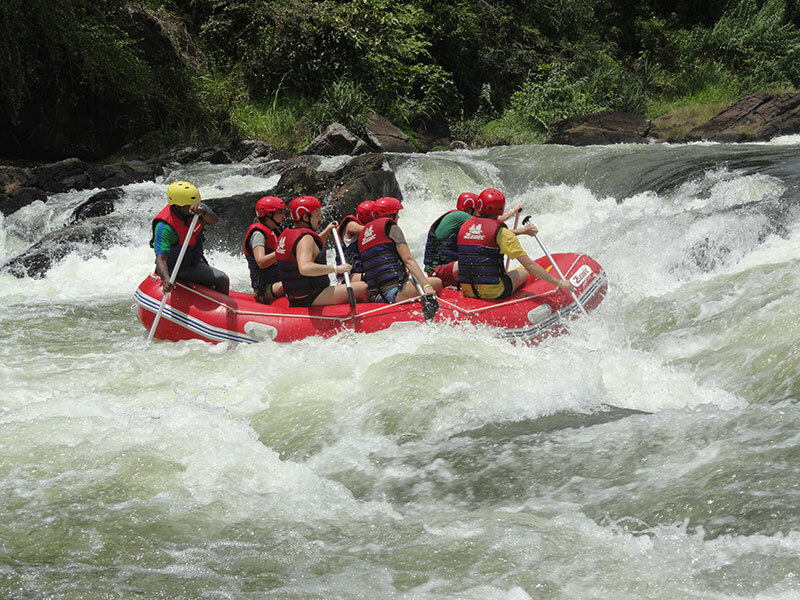 Indulge in some sensational white water rafting that is certain to bring about an Adrenaline rush. Conquer five major rapids and four minor rapids on the picturesque Kelani River while navigating the inflatable raft through torrents of fast moving water. At GO KITULGALA we provide you with safety gear, modern rafts and complete safety briefing by our well trained and knowledgeable instructors. This activity is most suitable for those above 10 years in age.